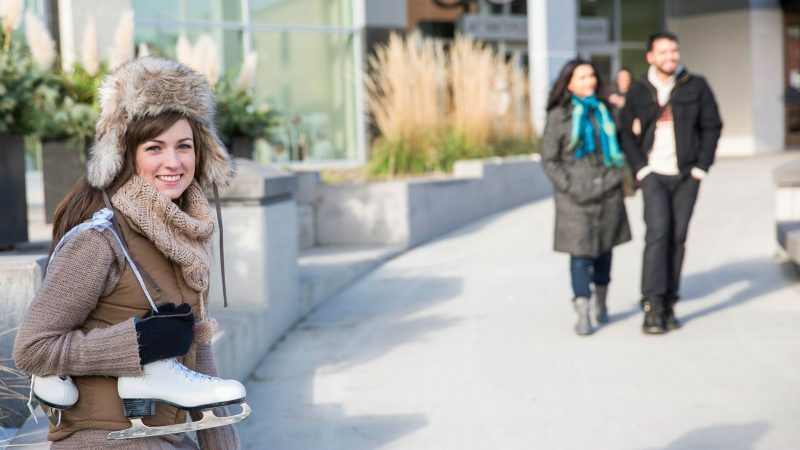 For some romantic, indoor skating fun that also features dinner and entertainment, there’s the City of Waterloo’s Skate Night, Date Night events. Start off at The Benchwarmer with a three course meal, then skate away the evening on the Carolyn Fedy rink at RIM Park, accompanied by live musicians! Anyone else thinking of the movie Ice Castles…? With such a great, local theatre scene, why not include a live performance into your date night? Green Light Arts is bringing back the award-winning A Very Leila Christmas – a show that promises to include singing, dancing, and sugar cookies! Drayton Entertainment presents Holiday Inn at the Hamilton Family Theatre in Cambridge. (Yes – it’s the movie that introduced the song “White Christmas” to movie goers in 1942). 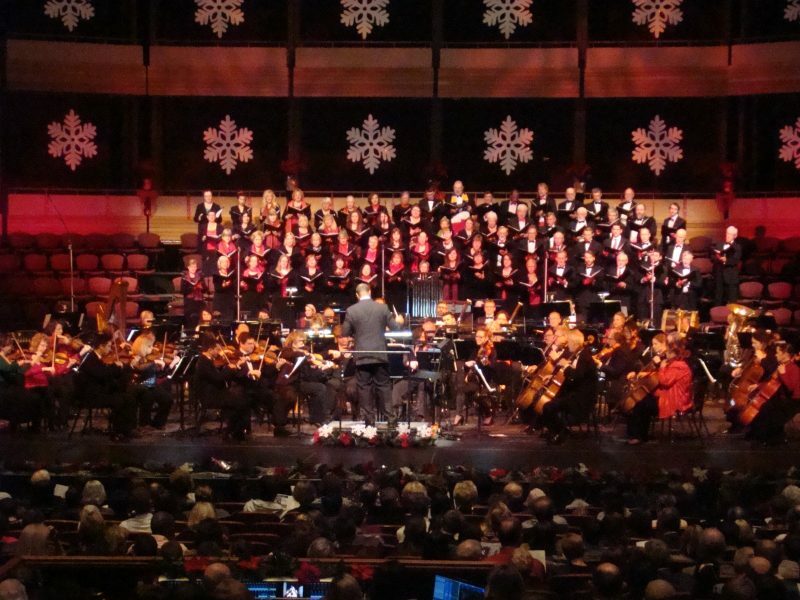 If love music is what you’re looking for, the Kitchener-Waterloo Symphony’s annual Yuletide Spectacular is a holiday tradition, this year featuring highlights from the Dickens classic, A Christmas Carol. If you’re part of a group of friends who traditionally get together over the holidays, skip the traditional bar scene this year and opt for a unique evening out! Classic Catering presents its annual Holiday Gala Dinner and Dance at the Mombasa Market Restaurant at African Lion Safari. 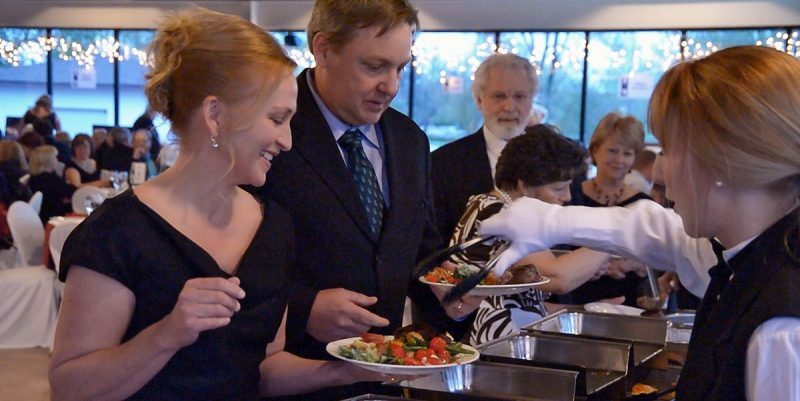 There are five Gala dates to choose from, and each evening features a reception with some of African Lion Safari’s exotic birds, a delicious all you can eat buffet, music and dancing! A minimum booking of 6 people is required, so get two more couples together, and get ready for a fun night that’s a bit on the “WILD” side! If an evening together in a perfectly decorated castle sounds like a perfect holiday evening for the two of you, then make sure to plan a night out at Baden’s Castle Kilbride. 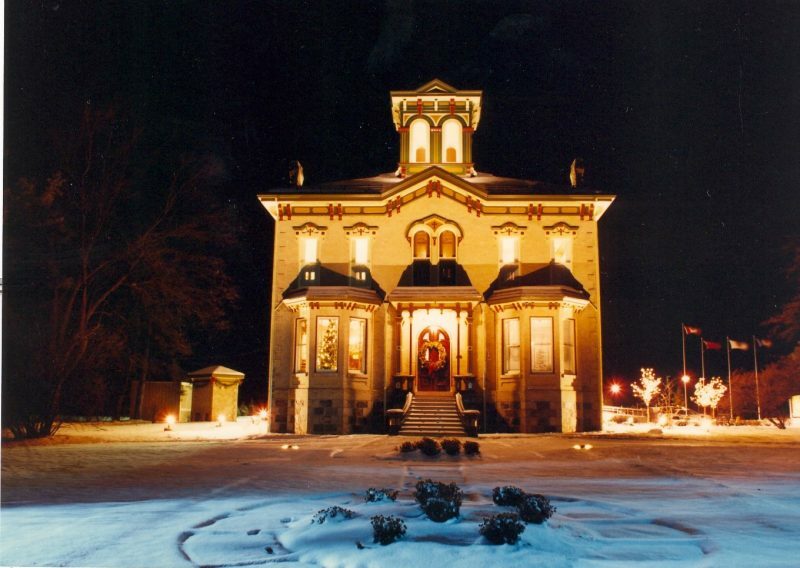 During the holidays this 1877 home is lavishly decorated and open for the public to enjoy. On December 6th, the castle celebrates A Merry Victorian Christmas – along with touring the castle you can take in live entertainment, treats and an opportunity to pick up a special present at the silent auction. Think we’re talking about painting and origami? Wrong! The ‘craft’ we’re talking about involves Craft Beer, and nobody makes date night as much fun as Descendants Beer & Beverage Co.! You’re already a great team, so why not combine your skills for any of Descendants game nights: there’s Tuesday TV Trivia, Trivial Dispute Wednesdays, and Music Bingo Thursdays. Or, escape the frantic pace of the holidays and just sit back with a pint and enjoy each other’s company at their Local Live Music Fridays. Consider it a holiday gift for the two of you from Descendants! It’s a typical Christmas card scene: the picture of a horse drawn sleigh dashing through the snow and a couple snuggled side by side in the back enjoying the ride. 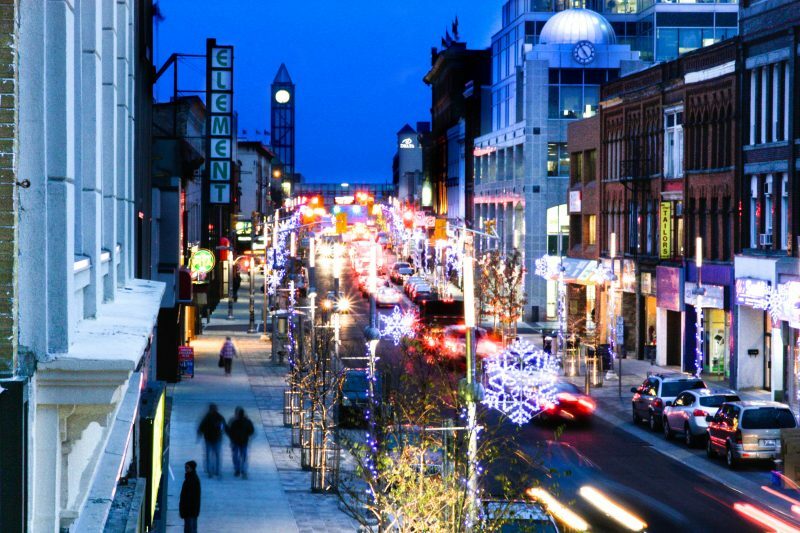 Take this romantic image and turn it into a holiday reality with St. Jacobs Horse Drawn Tours. Book your own small sleigh for a 45 minute sleigh ride through the beautiful countryside of Woolwich Township. After your ride you can warm up around the wood stove in their rustic sugar shack, and enjoy a hot apple cider together. Make sure to take a nice selfie of the two of you together in the sleigh – and use the picture to create your own holiday cards!